We often hear cries for more affordable housing. Where are those with lower incomes to stay, after all? 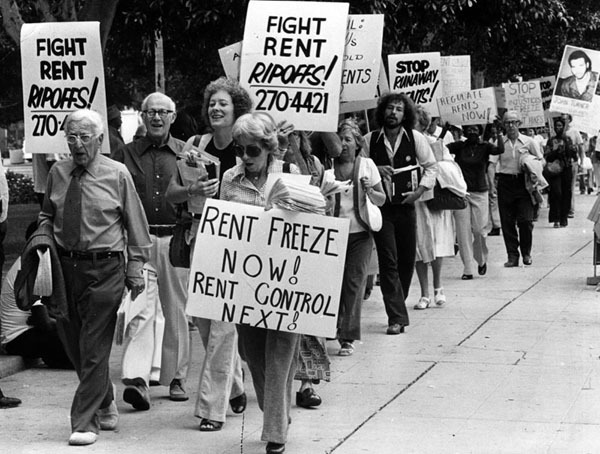 Cities such as San Francisco and New York have heard the calls long ago and decided to implement rent control policies. However, much like other attempts of price control (e.g. minimum wage), the policies end up harming the very people they attempted to help. The typical case allows landlords minimal increases in rent. This is typically tied to inflation. 1% for a one year lease in New York (2014-15) and 1.6% in San Francisco (2016-2017) Manhattan’s rent stabilized apartments on average are priced $1200/month lower. From a tenant’s point of view, there is little incentive to leave. Depending on specific regulations, if a tenant willingly leaves a rent controlled space, the landlord may charge market rents. Naked Apartments guide to NYC renting shows average length of tenancy in rent controlled apartments to be 12 years (Median 8) compared to 4 years for tenants paying market rates (Median 2). And among those refusing to leave aren’t just the poor. As Thomas Sowell noted in 2002, 26% of those living in rent controlled apartments in San Francisco have incomes above $100,000. The rent-control regulations on the rate of which rent can increase eventually results in landlords being unable to keep up with rising maintenance costs (fuel, labor, materials etc). In some cases, landlords are simply unable to continue to supply electricity. Overtime these buildings become dilapidated. With capped ‘returns’ landlords have little incentive to improve the quality of the dwellings. It’s not like anyone is going to leave anyway. There are extremes when landlords are essentially unable to make a profit on the buildings. In many cases, dwellings are simply abandoned. Between 1972 and 1982 it is estimated 300,000 New York apartments were abandoned. The impact of this is two fold. The reduction in tenant turn over for rent controlled apartments puts upward pressure on all other dwellings. From an investor’s point of view, there is little reason to provide low income housing. They would much rather supply high income housing and luxury apartments which are unshackled from the chains of rent control. Both of these factors reduce the supply of low end housing. This creates a shortage of supply and less opportunity for low income families (those most likely to benefit from lower prices) to live in these areas. Increased supply is precisely what is needed to reduce rents – and that’s exactly what rent control disincentives. The ability for landlords to charge market rates, and raise rent in accordance with maintenance and other improvement costs increases the supply of housing. This provides incentives for investors to build low end housing. Greater choice afforded to consumers increases competition, which provides a downward pressure on rents. Next Islam and Liberalism, friends or foes?